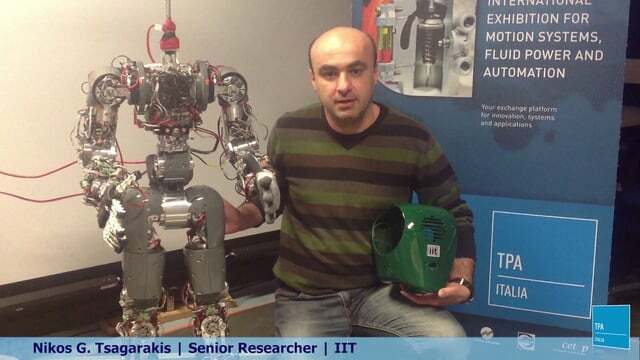 Nikos Tsagarakis is a Researcher in the Department of Advanced Robotics in the Italian Institute of Technology. 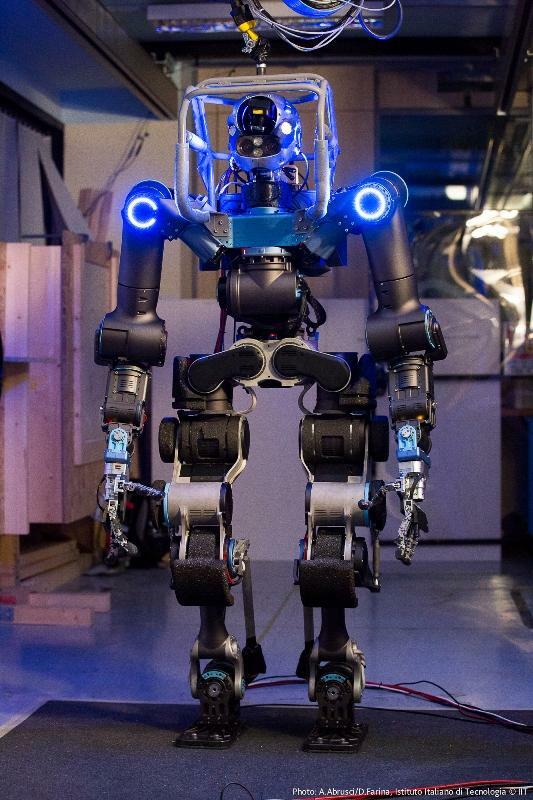 He is also the lead Researcher on a humanoid robot project “Walk-Man”. 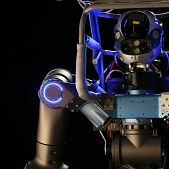 Since 2013 he is serving as a Visiting Professor at the Centre for Robotics Research (CORE), Department of Informatics, King’s College University, London, UK. 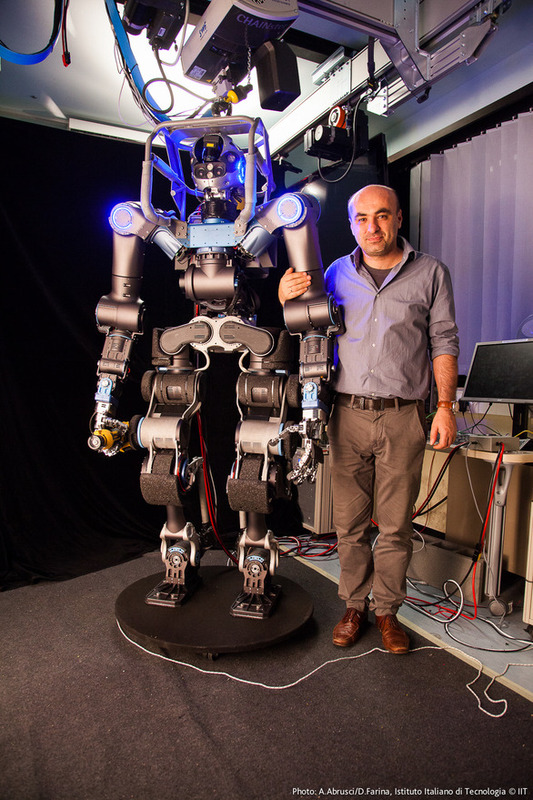 He is also the coordinator in many European Robotic programs such as Centauro. 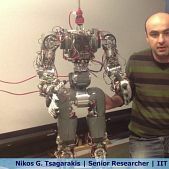 Tsagarakis is the head of Walk-Man Team, comprised of 19 members. 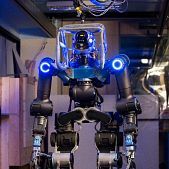 Tsagarakis and his team built in just ten months time a 1.85 m. robot, able to move in semi-autonomous way in unapproachable natural environments (for example after a natural disaster of a nuclear accident). 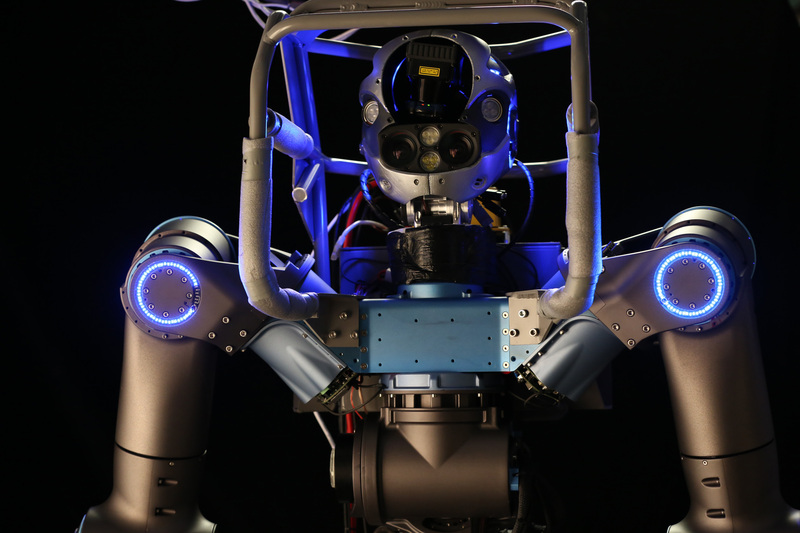 “Walk-Man was designed and built in ten months time, it was a huge effort that started in March 2014 and finished at February 2015. This is definitely a world record, given the complexity and the expertise such systems require. 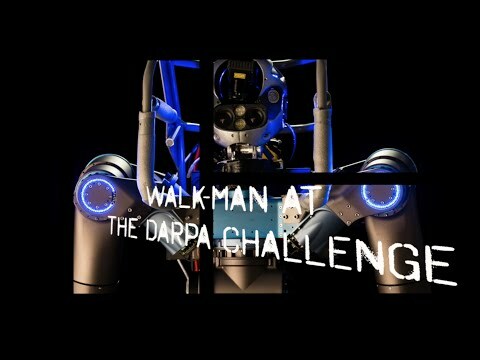 Walk-Man is currently recognized as one of the best in the world, with great potential for the future”, says Tsagarakis at a past interview. Nikos Tsagarakis was born in Ierapetra, Crete, in Greece. He received his DEng degree in Electrical and Computer Science Engineering in 1995 from the Polytechnic School of Aristotle University, Greece, an M.Sc degree in Control Engineering in 1997 and in 2000 a PhD in Robotics from the Univeristy of Salford, UK. 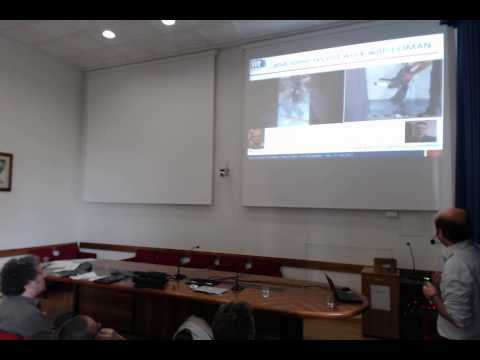 Before becoming a Senior Researcher at IIT with overall responsibility for Humanoid design & Human Centred Mechatronics development he was a research Fellow and then Senior Research Fellow in the Centre for Robotics and Automation at the University of Salford where he worked on haptic systems, wearable exoskeletons, rehabilitation robots and humanoids robots. He is an author or co-author of over 250 papers in research journals and at international conferences and holds 12 patents. 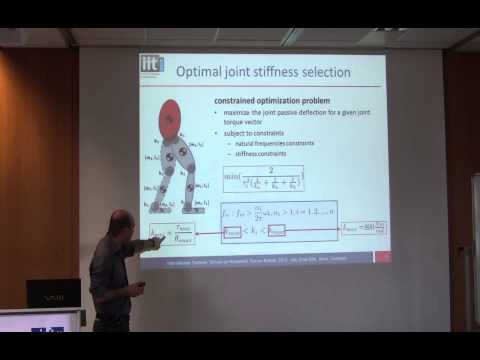 He has received the Best Jubilee Video Award at IROS (2012), the 2009 PE Publishing Award from the Journal of Systems and Control Engineering and prizes for Best Paper at ICAR (2003) and the Best Student Paper Award at Robio (2013). 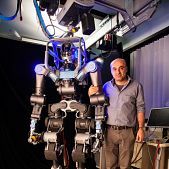 He was also a finalist for Best Entertainment Robots and Systems – 20th Anniversary Award at IROS (2007) and finalist for the Best Manipulation paper at ICRA (2012), the Best Conference Paper at Humanoids (2012), the Best Student Papers at Robio (2013) and ICINCO (2014). 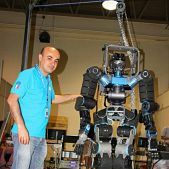 At a past interview, on a question why he chose Italy, instead of Greece, Tsagarakis answers: “Italy has a long and strong tradition in robotics, which is very attractive for those who want to optimize their knowledge and experience in this science. 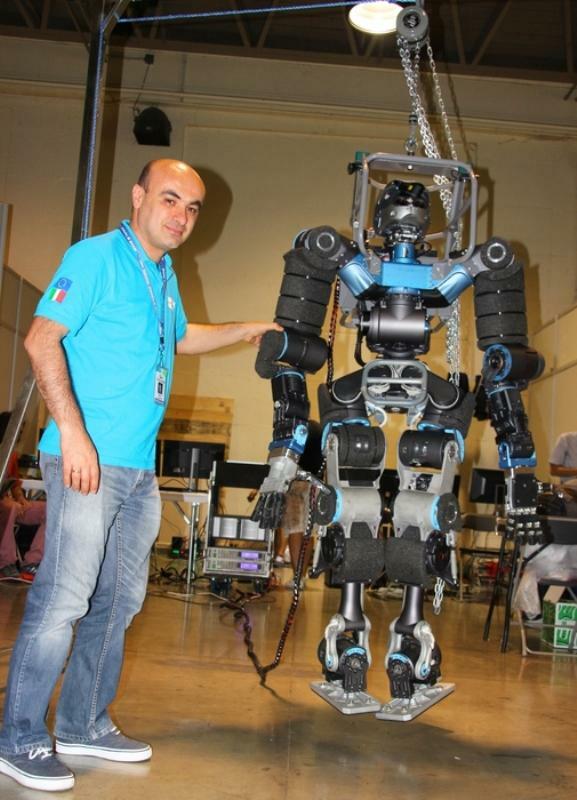 Furthermore, the Italian Institute of Technology is an international work environment that offers great opportunities and resources in developing technologies, such as robotics. Unfortunately, even though I tried coming back home a couple of years ago, but for the reasons we all know, it is very hard to the same opportunities and the same chances, as far as professional life goes”. On behalf of the Organizing Committee, all of us have the pleasure to cordially invite you as Plenary Speaker and Organizing Committee Member at our upcoming meeting “2nd World Conference on Robotics & Artificial Intelligence”, will be held during June 10-12, 2019 at Osaka, Japan. This meeting is a part of series of conferences organized by Scientific Federation, is expert-driven and is initiated to organize and facilitate proficient and international scientific conferences worldwide with associating the world class researchers. This Meeting will be a great occasion for discussions of previous, present, and future research on “Robotics & Artificial Intelligence”. It will provide an exciting scientific program, which will cover all aspects from the basics to their applications. It will be a great forum for students, postdoctoral fellows and established scientists from different countries to exchange ideas, and to broaden their knowledge. It will be an excellent occasion to meet researchers from around the world, widen professional contact and create new opportunities, including establishing new collaborations. For further information and conference updates, please visit the conference website. Your participation is important for the success of this Meeting, and will be very much appreciated. Looking forward to hear positive acknowledgement from you. 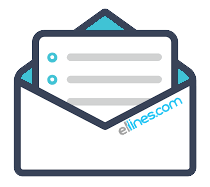 Please feel free to write to us.